There is a lot to prepare for when you travel abroad and it is important to be prepared. Here is why you should keep a passport copy when you travel abroad. Keeping a passport copy on you at all times is a necessity when you travel abroad. The American passport is one of the most powerful in the world, as it allows holders to travel to 116 countries visa-free. You can just show up, present your passport and stay in the U.K for up to 6 months, or stay anywhere in Europe for 90 days. That kind of power makes it a target for thieves, and if your passport is lost or stolen when you’re traveling abroad, you can have a whole host of headaches. Keep reading to learn why you need to have a copy of your passport and keep your passport safe while you travel. Why Have a Passport Copy? 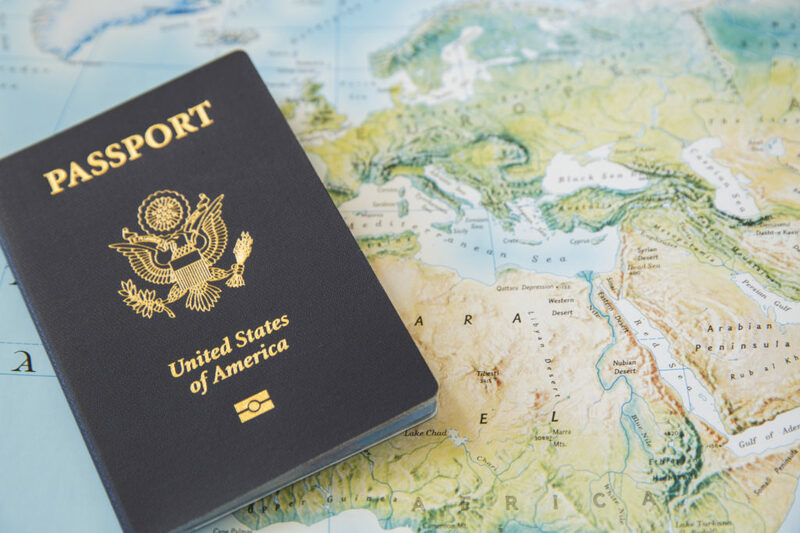 When you’re traveling in a foreign country, it’s wise to have proof of identification and proof you’re in the country legally. Another reason why you need to have a copy of your passport is in case of emergencies. In some countries like Spain, shops routinely will ask to see your passport if you’re making a purchase. It’s a security measure that you should expect to experience in tourist areas. The vast majority of shops will accept a copy of your passport. The National Police or Guarda Civil can ask you for your passport to make sure you’re in the country legally. It’s rare, but it can happen. You can show a copy of your passport and explain the original is in your hotel room. That will usually suffice. You can prove you’re in the country legally by having your passport on you at all times. The safest way to do that is with a fanny pack. Let’s face it, the odds of you traveling around with a fanny pack are pretty slim. You want to be smart, but you don’t want to look like a tourist at the same time. If you want to keep your dignity and not travel around with a fanny pack, you can keep your passport in your pants or jacket pocket. That will only increase the chances of having your passport lost or stolen. By having a copy on you, you can keep your original passport in a safe place in your hotel room. For extra security, have at least two copies of your passport. Have one copy in your wallet, have another copy at home with someone you know, and keep your original passport in a safe space. You should do the same thing with your credit cards, too. That way, if the worst case scenario happens, and your passport and wallet are stolen, you can have your friend or relative send a copy of your passport to you via fax or email to your hotel. If you happen to lose your passport stateside, it’s much easier to replace it than when you’re traveling abroad. What Happens If You Lose Your Passport and You Don’t Have a Copy? Let’s say you’re having a fantastic meal in London. You’re enjoying your meal so much you’re not paying attention to your bag that has your passport in it. The next thing you know, your bag is gone. Your passport is gone, too. If you have a passport copy at your hotel room or at home, that will make getting a replacement easier. You have a way to prove your identity, that you’re in the country legally, and you can get a replacement much faster. How Are Stolen Passports Used? You might be curious to know how stolen passports are used. Since the U.S. has one the best passports, it can be used for a wide variety of criminal activities. Criminals that frequently cross international borders like smugglers will use your passport to travel. Some, like the 9/11 terrorists, will use a stolen passport for terrorist activities. There is a black market for passports, and yours could be used for I.D. theft or any other criminal activity. If your passport is lost or stolen whether you’re in the U.S. or abroad, you need to report it right away. That passport will then be inactivated by the State Department to prevent others from using it to travel. What to Do if Your Passport is Lost or Stolen Outside of the U.S. The best and worst thing about travel is that anything can happen. That includes your passport getting lost or stolen. If the worst happens, and you do lose your passport, here’s what you need to do. If you are absolutely certain your passport is lost, report it to your nearest embassy or consulate right away. If your passport was stolen, you need to report it to the embassy or consulate and file a police report. A police report isn’t required to have your passport replaced, but you want to have as much documentation as possible to replace your passport quickly. You’ll need to get a passport photo, I.D., proof that you’re a U.S. citizen, several forms, and your travel itinerary. Your form of identification can be a driver’s license, and you can use your passport copy as your proof of citizenship. Once these documents are presented to the consulate, you may be charged a passport fee, though this can be waived under extraordinary circumstances. Also note that if you’re traveling on a weekend and lost your passport, embassies and consulates aren’t open on the weekend and passports aren’t issued then. You’ll probably have to wait until the next business day. You can read more if you need help getting your passport replaced. Whenever you travel abroad you want to be sure that your passport is safe. Even if it gets into the wrong hands, you’re protected by having a passport copy with you or can easily access your copy left at home. That will make it easier to get a replacement passport as soon as possible and for you to continue your journey. For more great travel tips, check out these articles today.